Europe’s food chain is continually evolving and EFSA’s remit has evolved to cover an increasingly complex number of areas related to the safety of the food chain: food-borne diseases, contaminants, animal health and welfare, plant protection, food production and distribution as well as food sector innovation to name a few. 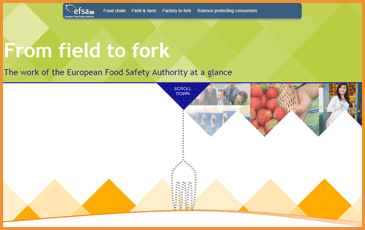 This brochure shows in a simple yet instructive way how the advice that EFSA provides to risk managers underpins many of the laws and regulations in place to protect European consumers from food-related risks – from field to fork. Please note that the EN, DE, IT and FR versions were updated in 2016. The translation of the other languages is in progress.